Day 1. Our journey begins after local pickups as we travel to Folkestone to catch our morning shuttle. Upon arrival we travel via the coastal motorway to our overnight accommodation in Mercure Hotel Lisieux. Day 2. enjoy breakfast before we depart our hotel in Normandy & make our way onward to Brittany. We make a stop at the world heritage site of Mont St Michel where the more athletic amongst us will be able to run to the steepled abbey. We allow free time before we depart for the journey onto our holiday base. We arrive with time to check in & explore before dinner. Day 3. Enjoy a day of leisure today in Concarneau. Stroll into the town or catch the land train which will take you into town for a small charge. Whilst there, explore the old towns diverse shops or watch the world go by over a quiet drink in one of the many bars or simply relax on the sandy sheltered beach the choice is yours. Day 4. Today we travel to the city of Quimper, it features many half-timbered houses and is dwarfed by the twin spires of the gothic cathedral. Take time to stroll along the banks of the River Odet that winds through the city or visit the Faience museum which celebrates this renowned Breton pottery. Later we depart for the short journey to a cider farm on the outskirts of the small village of Ergue-Gaberic here you will enjoy a talk on the cider farm as well as a tasting before we depart for our hotel. Day 5. Today we visit the Ancient walled town of Vannes. at its heart is the Cathedral Saint-Pierre de Vannes and its narrow cobbled streets that stretch away with colourful half-timbered houses. 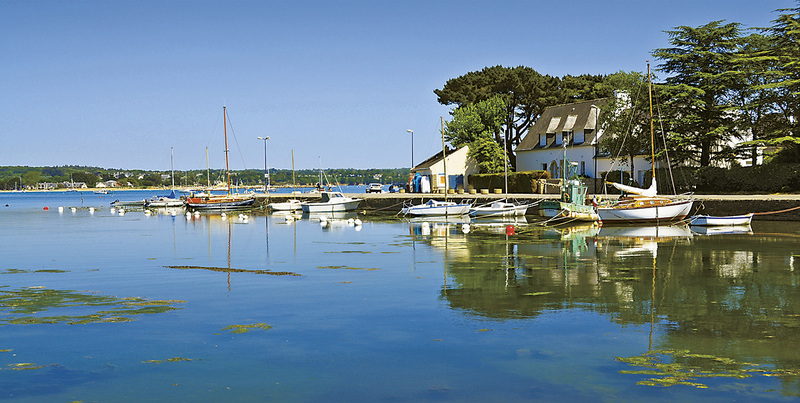 The harbour to the south offers many restaurants as well as boat trips to the Gulf of Morbihan. We depart after ample free time for the short journey to Pont Aven. The town is best known for its association with the painter Paul Gaugin who along with other painters started the Ecole de pont Aven. The town is renowned for its riverside walks & culinary delights. Day 6. This morning we depart our idyllic surroundings & make our way into Normandy. We travel into Normandy’s coaching past many of the D-Day landing sites before arriving into Bayeux. This small town is home to the famous Bayeux tapestry & medieval centre contains many half-timbered buildings & cobbled streets. After free time here we make our way to our overnight hotel. Day 7. We travel today via the motorway network back to the Port of Calais & onto the short shuttle crossing back to the UK. Please Note: When travelling abroad after the end of March Passengers are required to have 6 months left on their passports in the event of a no-deal Brexit. Can you also make sure you have travel insurance as the blue EU cards will no longer valid. Hotel Mercure Lisieux (overnight hotel first & last night). 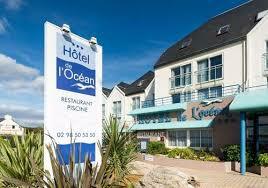 3* Hotel de I’Ocean (main hotel). The hotels 71 bedrooms are nicely furnished with private facilities, hair dryer & flat screen TV. Guest are also able to make use of the hotels outdoor covered heated swimming pool & jacuzzi. The hotel also has a lift that serves all floors.